Recently, one of my co-workers shared the chicken salad that she brought to work for her supper break. We kept taking tastes until we consumed all of it; the chicken salad was awesome. It was different; very smooth–almost a paté. Then surprise! I discovered that the salad came from Calvin’s Market at Bocage, a neighborhood grocery store that is just around the corner from where I live. Katrina was a hurricane like no other one. We are used to high winds, trees down, power outages, localized flooding. This one flooded an entire city — New Orleans. Families lost everything–homes, possessions and yes, treasured recipes. 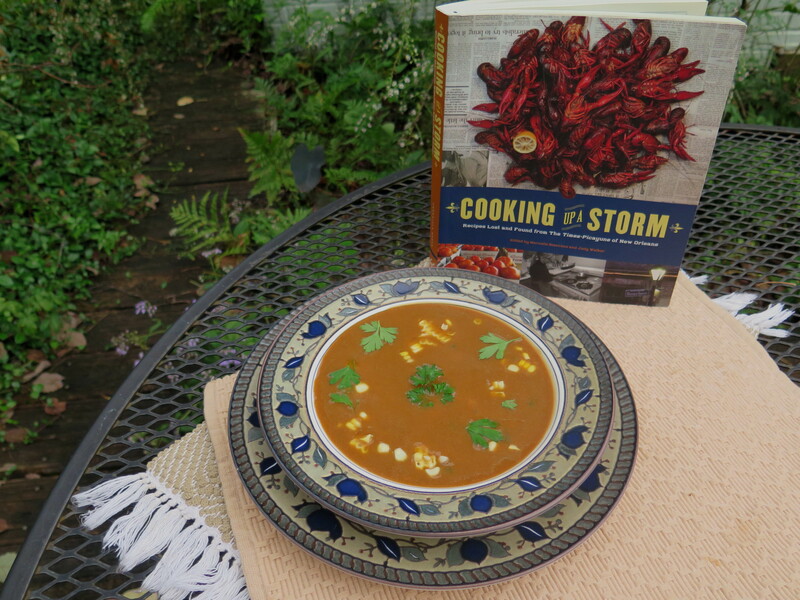 This blog post is about a recipe book, “Cooking Up A Storm,” and finding lost recipes after Katrina. A post-script story gives an eclectic recollection of my Katrina memories and photos.